There’s something about Christmas that makes us want to keep decorations up for longer, especially our holiday trees. Not to worry, though! You can keep your Christmas trees and other decorations on display until the last night of the year with just a few tweaks. From changing out ornaments to displaying all the clocks you have on hand, let these fun and festive ideas combine Christmas and the New Year! 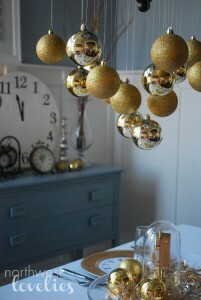 Make counting down to the New Year more fun by changing out your Christmas ornaments with timepieces! Create vintage watch faces with cardboard that’s painted or covered in glitter, add a string, and then hang it on your tree. 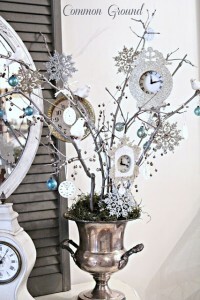 Give your New Year’s tree added variety by using clocks in different sizes. 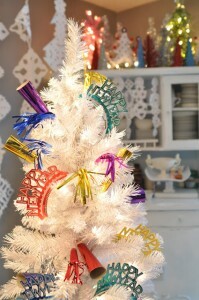 Afterwards, hang up your snowflake ornaments (if you have them) to give your tree a wintry appeal! Learn how to make these amazing timepiece ornaments with this how-to from Common Ground Do! Black and white offer a cool and stylish appeal to your New Year’s Eve celebrations! 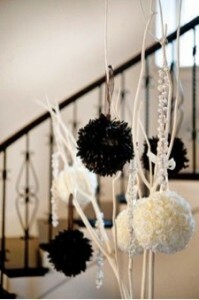 Make pom poms out of black and white yarn, and hang them up on your tree to replace your Christmas-y ornaments. You can also add some crystal drops or garlands for extra sparkle. Here’s a quick tutorial on how to make the perfect pompoms. Leave your gold ornaments on the tree, and add some silver for a glitzy New Year’s party theme! Gold and silver are classic NYE colors, and are believed to bring good luck and prosperity for the coming year. You can put your gold and silver ornaments on your tree, or hang them from the ceiling to give your space a glittering atmosphere. Noisemakers, New Year’s headbands, some metallic garlands—they can all turn your Christmas space into a festive New Year’s Eve setting! 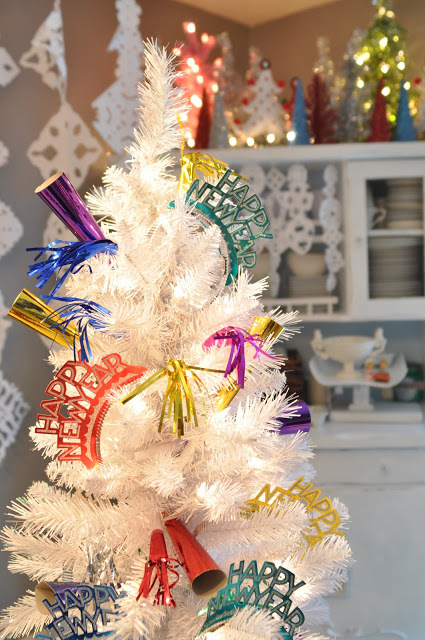 Purchase NYE accessories in colorful and festive designs, and stick them all over your tree. 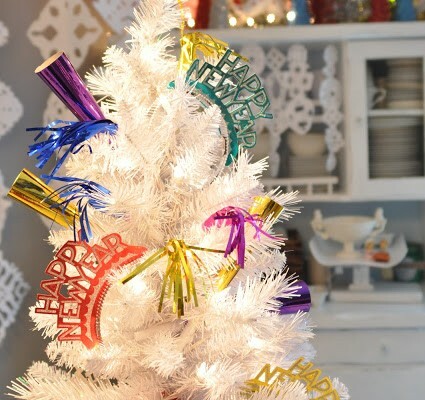 At the stroke of midnight, let your guests grab a noisemaker, hat, or headband from the tree so that everyone can welcome the New Year in style! The best advice is to remove red and green, and instead focus on metallic and sparkly accessories. Bowls of metallic Christmas balls, white twinkle lights, metallic-colored balloons hanging from the ceiling, shiny stars, frosted snowflakes and white birch tree candles all complement a New Year’s theme beautifully. Think New Year, new start, and welcome 2016 with friends, family, and festive decor! Which NYE tree idea do you like best? Let us know in the comments!